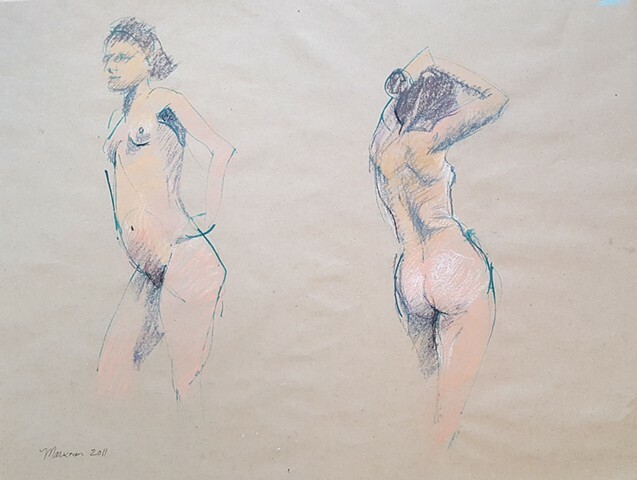 This is an original quick figure drawing done from life by me. It is signed and dated. It is unframed but will needed to be framed and matted to protect it.